As I’ve probably said before in other posts on this site, I’m a big fan of open world games. I have a collection of open world games that I don’t wanna get rid of, regardless of wanting to actually play them someday. I personally love the exploration without actually going out of the house because it’s not a sweaty endeavor to do so. That’s why I’m always excited for new Grand Theft Auto games because they’re tried and tested to be great fun. 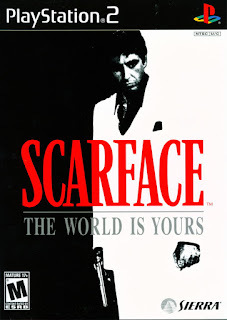 There are always those surprises like The Godfather which make me love trying out new open world games as well. One game I personally got excited for was Scarface: The World Is Yours. I remember seeing screenshots for the game in a magazine and that alone got me hyped up for it. With something as simple as screenshots of men with guns and the promise of exploration in the pages of an old GamesMaster Philippines magazine, I know I’ve got an addiction for hoarding open world games. I even watched the trailers and thought “Wow, this is totally a game that I’d play!” Consider me a fanboy of violence and swearing then.